The CaminoWays.com team will be back at the Ploughing Championships this year, Ireland’s biggest outdoor event and a must-visit show. Come to meet the team and get 10% OFF your Camino trip at stand 618, unit 71, in the DOME Barrow, Lifestyle and Tourism area. You will also have the opportunity to win two nights in Santiago de Compostela for two people and six CaminoWays.com vouchers worth €100. Make sure you sign up to our newsletter to be in with a chance to win one of these great prizes. WHERE: Tullamore, County Offaly, Ireland. DOME Lifestyle and Tourism tent, stand 618, unit 71. WHY: An opportunity to meet our team of travel experts in person, get a special Ploughing discount and win prizes. Our team will be available to answer all your questions and share advice and tips for your Camino trip and other fantastic walking trips such as the Via Francigena across Tuscany and into Rome. Whether you are looking to travel on your own or with a group, joining a guided tour or going self-guided, we will be there to help you plan the perfect Camino. 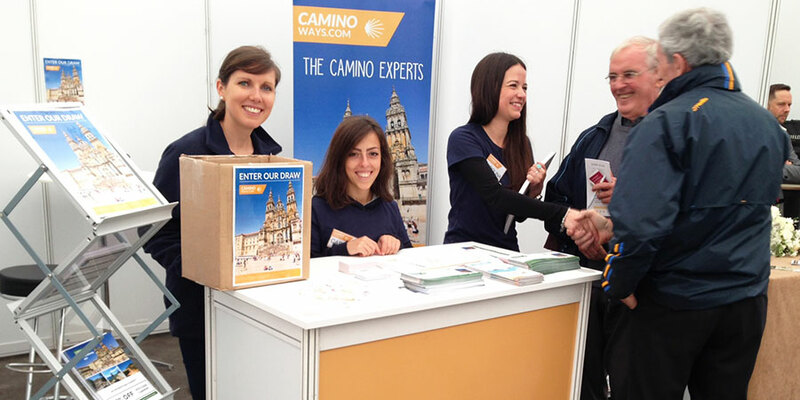 Enter our newsletter at the show for a chance to win CaminoWays.com vouchers and two nights in Santiago de Compostela. See you in Tullamore, don’t forget to pack your wellies! Thank you so much Clare! See you in Tullamore.